With the recent release of Mini-Pack 3, Season 1 is now complete. We’ve spent nearly 18 months building the 11 heroes, 19 villains and 11 environments that comprise the 41 decks of Season 1. To commemorate the occasion, we’ve made a special Season 1 wallpaper you can download here. To the more than 17,000 Season Pass 1 holders who believed in us to complete Season 1 from start to finish, thank you! We couldn’t have done it without your support. Ever since we launched Season 1 way back in February of 2015, we’ve been selling the Season Pass at a significant discount compared to buying all of its content separately ($26). The reason for the discount was that you were paying for content in advance, before it was available. Now that Season 1 is complete, that discount is ending. Starting July 4, Season Pass 1 will be available at a regular price of $24.99. For those of you who have ever said “I’ll just wait for the Season Pass to go on sale,” it always has been! But to sweeten the deal just a bit, Season Pass 1 will be an additional $2 off until July 4. At $17.99 USD that’s nearly 30% off the new regular price! It’s the Season 1 Completion Sale and it’s your last chance to pick up Season 1 before the new pricing begins. The Season 1 Completion Sale and the new pricing for Season Pass 1 will apply to all platforms and stores. Please note - pricing updates go live on different stores at different times. If you are not seeing the sale price, wait a while and try again. Amazon Appstore pricing will not be live until Saturday. There are some great deals happening in the Multiverse for the next 2 weeks, so tell your friends! Buying the game on the iTunes App Store allows you to play it on any iPad, iPhone, or iPod touch linked to your Apple account. Buying the game on Google Play will allow you to play it on any device (tablet or phone) linked to your Google Play account. Buying the game on the Amazon Appstore will allow you to play it on any device (tablet or phone) linked to your Amazon account. If you’ve been patiently waiting to play Sentinels on your smartphone, thanks for hanging in there with us! Also, we want to reassure you that you will not be missing out on the Season 1 Completion Sale mentioned above. 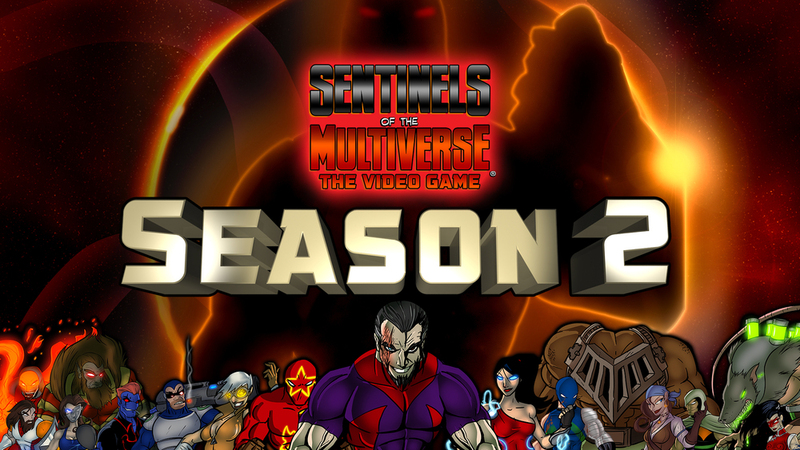 When we launch smartphone support, we promise to have a great launch promotion to get you in on ALL the Sentinels action. We’re not going to spill the beans on exactly when that will be just yet, but follow us on Facebook or Twitter or even better, join our mailing list to hear all the news first. We are also working on the Season 2 Preview Pack to be released on all platforms after the smartphone version is complete. This special mini-pack will contain Setback (from Vengeance), Chokepoint (from Mini-Pack 4), and the Temple of Zhu Long (from Villains of the Multiverse). The preview pack will only be available as part of Season Pass 2, which will be available for sale on all platforms at the same time. You can still pre-order Season Pass 2 on our BackerKit page. After the Season 2 Preview Pack we’ll be getting right into developing Vengeance and the rest of Season 2. Stay tuned for news and previews!